If not, you are not alone. Research suggests that around two thirds of adults don't achieve the recommended amount of sleep needed for good health. Poor sleep has been linked to many long-term health issues, such as weakened immune system, obesity, type 2 diabetes, stroke, and heart conditions, as well as problems with mental health. Addressing your sleep issues is, therefore, about much more than simply feeling able to face the next day. Sleep problems can take many forms, perhaps presenting as difficulty falling asleep, waking up during the night, or waking too early every morning. Or, you may struggle to sleep at the proper time, only to fall into a deep sleep that is difficult to wake up from just before the alarm goes off. There's a lot you can do to help yourself get a better night's sleep, without reaching for the sleeping pills. This free session goes beyond the perceived wisdom of hot chocolate and limiting screen time before bed (although hot chocolate definitely has its place! ), and explores the sometimes surprising facts about sleep and what can affect it. Whatever is keeping you awake at night, come along to learn more about sleep, and take away some positive steps that you can use to make healthy and restful sleep a reality again. 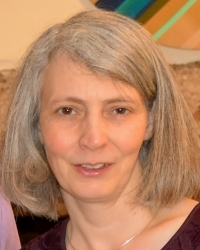 I am Claire Occardi, a Clinical Hypnotherapist based in Settle and Skipton, North Yorkshire. As a practitioner of Solution Focused Hypnotherapy techniques I work with clients to achieve positive life changes, whether that is to reduce anxiety, improve confidence, deal with sleep issues or break an undesirable habit.